With fenestria, elegant design and advanced engineering come together to produce PMC’s ultimate musical listening experience. The top-of-the-range fact model combines new materials, innovative aerodynamic engineering, groundbreaking vibration-cancelling design, cutting-edge cabinets and drivers, PMC’s patented Advanced Transmission Line (ATL™) bass-loading technology and state-of-the-art looks to create a loudspeaker which adds no sound of its own to the music it reproduces. Well, at some point in late October 2018, you will be able to hear what they do, or rather don’t do since they will be part of our reference level portfolio of products. Priced at £45,000 / pair (yes, you do get two) and dimensioned substantially (scroll the end), these are not for the feint hearted. 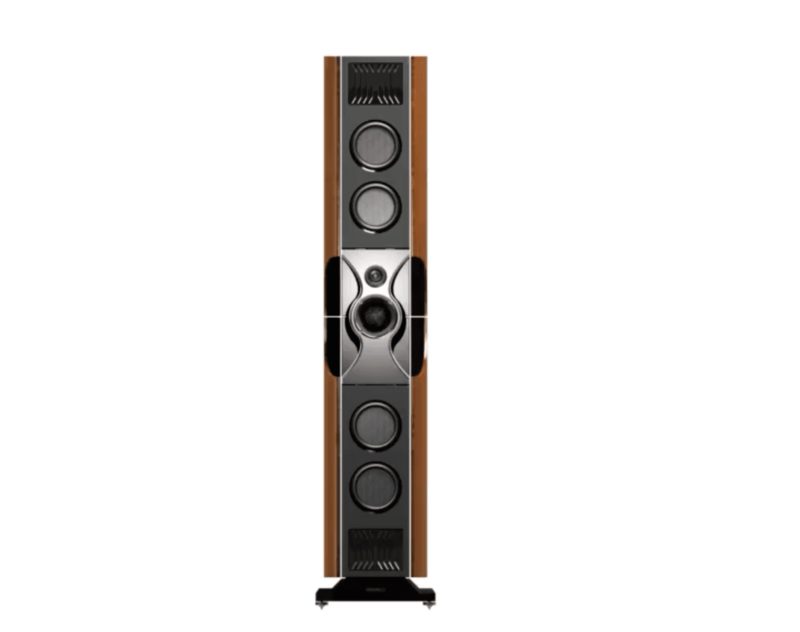 fenestria achieves a new standard of lifelike, vivid precision at all listening levels. Other loudspeakers produce unwanted vibrations in the drivers and cabinet that colour the sound. Just as a shaky camera cannot produce a clearly focused image, these unwanted vibrations reduce the clarity and precision of the sonic imaging. With fenestria, such unwanted resonances and unnatural colouration are engineered out of the design, leaving nothing but music. In sonic terms, the speaker itself disappears, replaced by a completely transparent window on the music. To create fenestria, PMC used advanced design and engineering techniques to eradicate unwanted colouration, following extensive in-house acoustic research into the speaker’s transmission line, drive units, and crossover. As fenestria evolved, every element that might suffer from unwanted vibration was subjected to analysis using accelerometers, and the results were used to hone the design. These studies directly inspired the design of the loudspeaker’s distinctive central module, or ‘nest’, which houses the mid- and high-frequency drivers. Milled from a billet of solid aluminium, the nest is ‘decoupled’ from the rest of the cabinet to prevent unwanted energy passing from fenestria’s enormously powerful bass drivers and transmission line into the drivers in the nest — a perfect example of form following function. 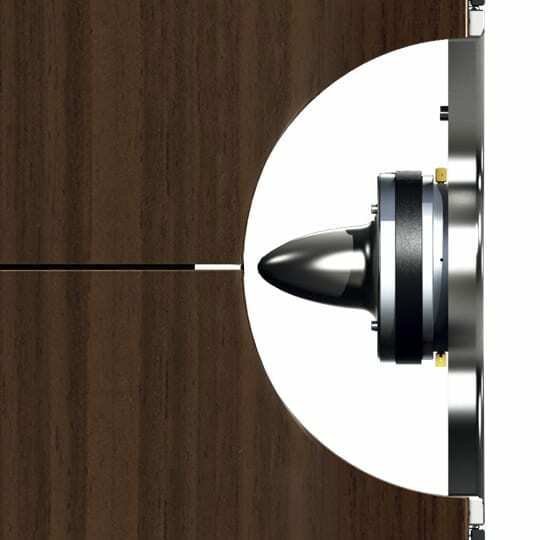 The resonance-resistant material used for fenestria’s cabinet was also heavily braced to minimise unwanted vibration. All loudspeaker cabinets, irrespective of their structure and weight, radiate energy at their resonant frequency. The studies carried out during fenestria’s development phase gave the design team the precise data they needed to tackle this issue in the evolving loudspeaker. Ingeniously, to eliminate these unwanted vibrations, they turned to techniques used in structural engineering to reduce damage during earthquakes. Adding a large weight (a tuned mass damper) to the top of skyscrapers prevents the formation of destructive seismic vibrations. As the building oscillates, the mass moves in opposition, cancelling out the unwanted resonances. Using the same principles, the planar wings of fenestria’s cabinet have been precisely engineered to resonate in opposition to rest of the loudspeaker assembly, so that unwanted vibrations are eliminated before they ever leave the cabinet. Simply put, the side panels cancel out all of the unwanted energy produced by the drivers, leaving nothing but music. The tailor-made high-frequency soft-dome driver in fenestria builds on PMC’s heritage of respected treble driver design, delivering natural, open-sounding highs and extremely stable three-dimensional imaging, augmented by the PMC-designed dispersion grille. Using a neodymium magnet assembly, the driver was designed to be extremely light and compact. This allowed it to mount tightly with the mid-range driver in the nest, making it as close to an ideal point source as possible — another example of engineering and aesthetics working hand in hand. An extra silicone-damped suspension mount, the Aureole™, protects the treble unit, keeping it perfectly focussed and still. A 75mm soft-dome design created especially for the new loudspeaker, fenestria’s mid-range driver covers the key frequencies in instrumental and vocal recordings, bringing you tangible, beautifully lifelike reproduction with a wide dynamic range. Even by PMC’s high and widely respected standards of mid-range driver design, this is the best yet. The carefully shaped spun aluminium form was also engineered to be acoustically inert, producing no unwanted reflections when teamed with the tweeter in the nest. The result is stable, pin-sharp imaging that seems not to emanate from fenestria at all, but to soar boundlessly through space. Like all PMC loudspeakers, fenestria produces a remarkable bass response that remains consistent at all volumes, with matchless clarity. This is in part due to the inclusion of the company’s patented ATL™ bass-loading technology, but also results from the custom-designed piston bass drivers. Designed in a flat disc shape, with a massive magnet assembly, the drivers move huge volumes of air with maximum efficiency. Such are the extreme demands of the transmission line, a standard bass driver cone would crumple and fail. Instead, fenestria’s piston driver is composed of a triple-layer composite consisting of a rigid multicellular damping core sandwiched between twin sheets of transverse-weave carbon-fibre. Hand-prepared by a supplier of advanced composites to the world’s leading motorsport manufacturers, the material does not deform, producing a flatter, accurate response — so you hear music, not the loudspeaker. We listen to and test all parts — even the ones you can’t see. The audio connectors between fenestria’s modules are designed for the best-possible conductivity, and we use non-inductive resistors throughout to reduce distortion, together with transparent, low-resistance capacitors for a lower noise floor. Our approach is exemplified by fenestria’s crossover. The purpose of this essential element is to divide the incoming signal from an amplifier into the frequencies best suited to each of the loudspeaker’s drive units. 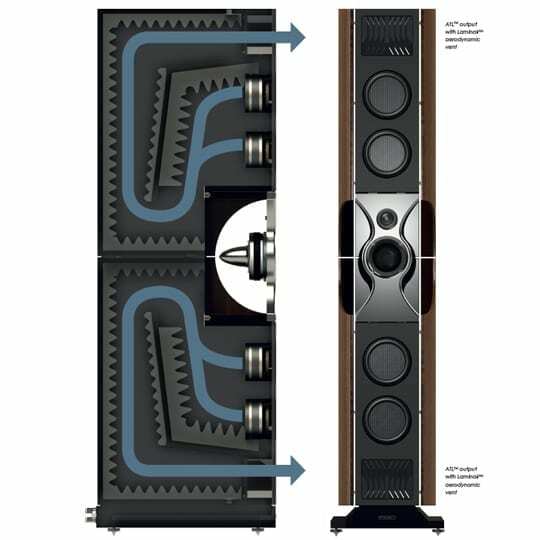 It’s a key constituent of a speaker design that demands the utmost precision if the product’s performance is to reach its optimum. With fenestria, signal paths are kept as short as possible by strategically positioning the crossover components. They are spaced, carefully orientated to exclude interference, and connected by ultra-wide, thick copper tracks for unrestricted current flow. The high standards employed throughout the fenestria design extend to the audiophilequality tuning controls set in its base. With ranges chosen from extensive analysis of multiple real-world listening environments, these precision knurled controls allow you to tailor the bass and treble response to your specific listening environment, cables, and preferred listening position. High-quality, low-resistance connectors are employed throughout, guaranteeing maximum transparency. PMC’s custom-designed low-resistance Hex-Rhodium binding posts also create ideal connections. Machined from pure copper and plated with matte rhodium for the last word in conductivity, they accept all popular terminations and are directly coupled to the crossover board to keep the signal path as short as possible, so nothing is lost between cable and crossover. 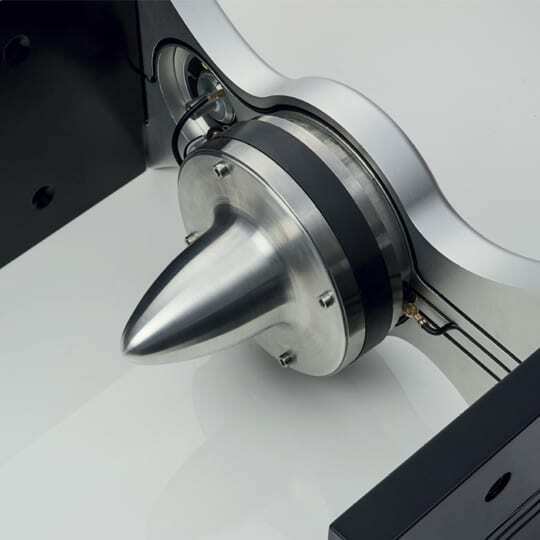 Our loudspeakers are designed and hand-built with care and attention by fastidious people at the PMC facility in the UK, where every single component is measured and graded. Every detail, from the individual elements on the crossover and in the drive units right up to the cabinet, is tested to ensure it meets our exacting standards for performance and reliability. This ensures each new model is a duplicate of the reference design. A full computer analysis is taken for each completed loudspeaker, so we know it is technically perfect — but we go one step further. Computers don’t tell the full story, and our customers listen with their ears — so we do too. We run a benchmark BBC speech test and play an extensive array of music (including classical, pop and rock) on each loudspeaker we produce. 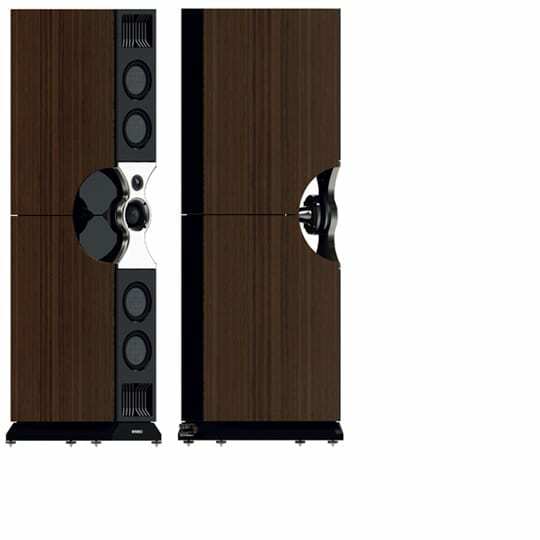 Every one is compared with its reference model and both speakers in each pair are cross-checked to ensure a perfect match. 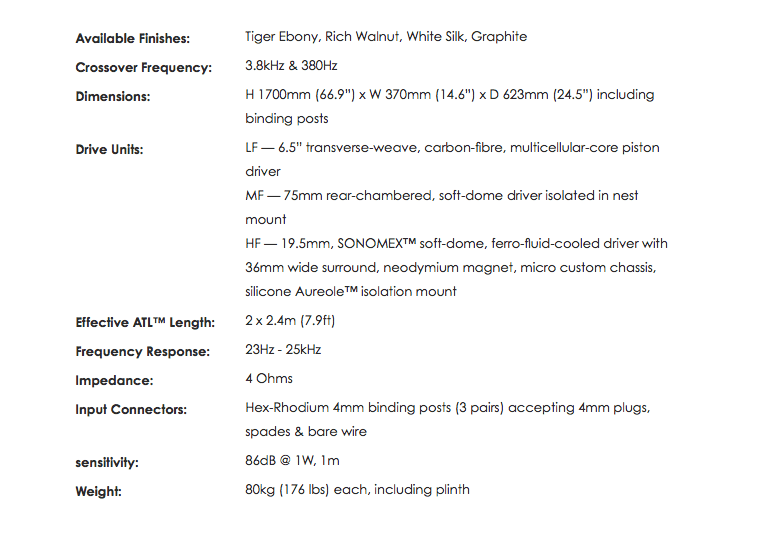 Such is the confidence in our work that we offer an unparalleled 20-year warranty on all passive consumer loudspeakers.